I’ve noticed recently that seemingly innocent office jargon is evolving into a series of offensive metaphors. Workplace slang increasingly features horrific violence – the bloodier and gorier the better. For example, it’s no longer good enough to work with a ‘cutting edge’ company. These days, ‘bleeding edge’ is de rigeur. We no longer cancel a failing project. Instead, we ‘kill’ it: sometimes by the ‘death-of-a-thousand cuts’ (loads of minor amendments making it unrecognisable and unworkable), and sometimes by ‘slash and burn’ tactics (acting indiscrimately and destructively). How do we know these days if there’s conflict at work? We proudly announce that there’s ‘blood on the floor’, ‘blood on the stairs’ or blood on the walls’. And then there’s ‘guerilla marketing’. When did aggressive, independent fighters become linked with promoting persuasive messages? We often express positive information with the subtlety of a chainsaw massacre. When a company does well, we describe it as ‘killing the competition’. When it reaps significant profits, it is ‘making a killing’. It doesn’t seem to matter if the news is good or bad. Either way, we embrace the concept of violence. Who wants to work in a vicious, belligerent environment? In our corporate dealings, we often find ourselves in office environments where verbal aggression is the norm. Flippant comments about death and destruction run rampant through workplace argot. Despite our urge to be ‘PC’ (politically correct) in almost every other aspects of our lives, office jargon still actively promotes bullying and war. It’s unprofessional, to say the least. News outlets have started to pick up on this. According to The Telegraph, the Plain English Campaign calls office jargon “downright dangerous” and warns it can create barriers to winning new business. The Guardian reports that while military-speak might make men come across as assertive, macho straight-talkers, women are more respected when they speak warmly. Despite this, female executives often feel obliged to talk in aggressive terms to fit in with their office culture. This uncomfortable clash of jargon against empathy prevents women from contributing fully, and in their own voice, to meetings and/or office discussions. Verbal violence is not only limited to fighting talk. It often spills out to attack our animal friends. Cute puppies bear the brunt of several disturbing office jargon expressions. Ever heard an executive talk about ‘punching a puppy’? It means doing something despicable to create a beneficial result in the longer term. The expression ‘kick the dog’ (or sometimes ‘kick the cat’) describes taking out aggression on someone more junior, who is then likely to repeat the pattern with his/her own subordinates. Most disturbing, perhaps, is the phrase ‘shoot the puppy’, which means making ultra-macho decisions and doing the unthinkable to get ahead. Poor, poor puppies. Someone call the RSPCA. 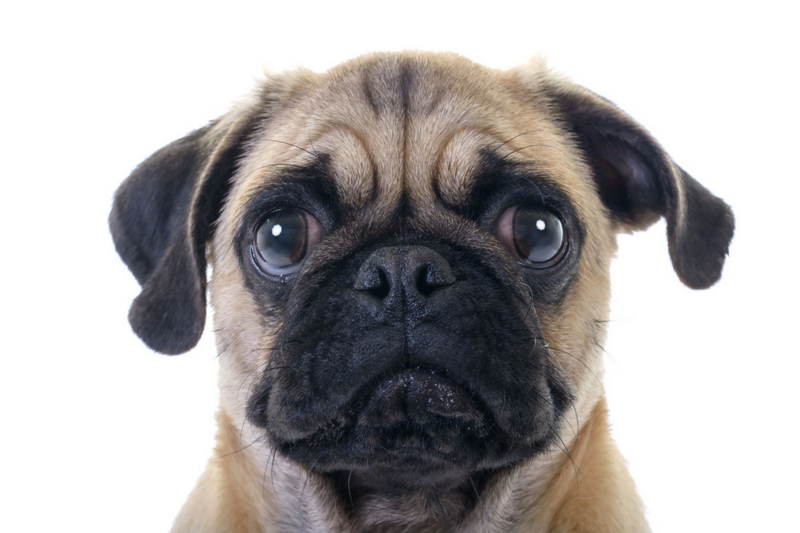 Dogs aren’t the only voiceless victims of office jargon. Ocean animals are also targets for death and destruction at the hands of modern-day management lingo. If you ‘kick dead whales down the beach’, you are doing something unpleasant and seemingly endless, yet essential. Have you carried out a thankless task recently? If so, you’ve been ‘boiling the ocean’. Just think how many animals you’ve killed off with that malicious activity. Less horrific, but no less bizzare (hence its inclusion here), is when you have a great idea that fails to work. At the tipping point when the idea turns bad, you’re said to be ‘jumping the shark’. Apparently it’s a reference to the US TV series, Happy Days, which went downhill rapidly after its hero, Fonzie, the coolest guy in town, showed off his waterskiing prowess by jumping over a shark. Perhaps the cleverer sharks should turn tail and bite. While we’re ticking through the list of animals in peril through the language choices of office workers, cattle also feature in distasteful office jargon. When considering who might lose out as a result of new plans, you might use a bullfighting analogy (bull against bull) with the question “whose ox gets gored?” A descriptive and unpleasant thought. The ox’s long-haired cousin, while not actually a victim of linguistic violence, still finds himself shivering in the cold as a result of ‘yak shaving’ – the execution of a series of seemingly endless tasks to stop a project becoming stagnant and allow it to progress. A weird phrase if ever I heard one. According to the Institute of Leadership and Management, nearly two thirds of offices around the UK rely on office jargon, but a quarter of Britain’s workforce is frustrated by the language used. Perhaps the puppy punchers, puppy kickers and puppy shooters should ‘eat their own dog food’ (have a taste of their own medicine) and imagine how it feels when the verbal violence is aimed at them. Of course office jargon isn’t limited to animal cruelty. Animals pop up in other parts of management speech too, and in today’s busy workplace, no-one needs to spend time and effort wondering what it means to have a ‘salmon day’, or what on earth ‘the pig in the python’ is all about. We don’t need to ‘get all our ducks in a row’ or to talk to ‘cubicle monkeys’ if we can avoid it. When everyone starts to speak plainly, sensibly and without jargon, offices around the world will see a significant improvement in efficiency and effectiveness. Simplicity and clarity are the golden rules and if we make these our aim, we will move towards a happy and productive working atmosphere. It makes such a difference when people understand one another and don’t have to spend time and effort working out what something means. What office lingo really ‘gets your goat’? Do let me know!